The Tesla Model S P100D has been tested against the ... Renault ZOE? Carwow has apparently decided to compare and contrast the differences between the longer range EVs found on the far ends of the plug-in spectrum for Europe; and is answering the questions that no one is asking. The comparison includes acceleration tests, brake tests and range anxiety tests. As it turns out, the Tesla Model S won three out of five challenges. Anyway, the affordability of the ZOE makes it more accessible to more Europeans, and therefore is rewarded in the monthly sales stats. 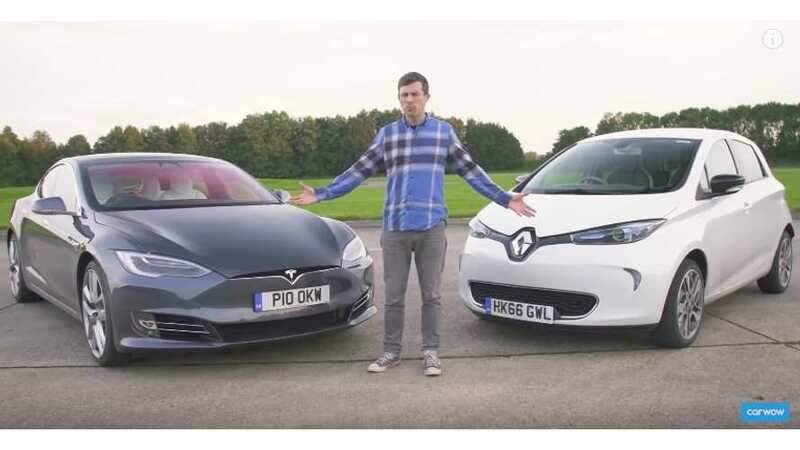 "The Tesla Model S P100D is the car that every EV fan aspires to, but the Renault Zoe is the EV that most people can afford. Is the Tesla worth the extra £100,000-plus? I put the pair through a series of challenges to find out!"